Countless Americans rely on credit cards to pay for their expenses, so much so that many purposely seek out credit cards with high limits. But searching for high-limit credit cards will only do you so much good if your FICO score is less than stellar. Here, we’ll review how credit card companies set spending limits for consumers, and what steps you can take to increase your credit card limit. Credit card limits aren’t just thrown out at random. Rather, your limit is generally a function of your creditworthiness, as determined by your income level, credit history, and FICO score. Of course, some lenders do offer credit cards with across-the-board predetermined limits. In such a scenario, a company will issue a card with a preset limit — say, $ 2,000 — and that limit will apply to anyone who’s approved for the card. Whether or not you get approved, however, will depend on your credit score as well as your income. Other credit card issuers, meanwhile, don’t set prearranged limits, but rather do a more in-depth analysis of each customer’s finances to arrive at individual numbers. For example, a credit card company might offer one customer a $ 5,000 limit on a certain card, while another customer gets access to a $ 15,000 limit for the same card. And the better your credit, the greater your chances of snagging a card with a higher limit. Here’s what the average U.S. credit card limit looks like by credit score, based on Experian’s analysis of 2015 data. It stands to reason, then, that if you’re unhappy with your current credit card limit, improving your credit score is a crucial step toward getting it raised. This can be accomplished in a number of ways, such as paying your bills on time and limiting the number of credit cards you open. Another thing to keep in mind about credit card limits is that they aren’t set in stone. Lenders have a tendency to check up on their customers and adjust their credit card limits upward or downward depending on their spending and payment habits, so just because you start out with a certain limit doesn’t mean it’s guaranteed forever. Want a higher credit card limit? Just ask. Having a higher credit card limit gives you more flexibility to cover your expenses. Of course, ideally, you should make a habit of not charging more on your credit card than you can afford to pay off by the time your bill comes due. But if you’re looking to increase your credit card limit, speaking up can pay off in a very big way. In a recent CreditCards.com study, 89% of customers who actively asked for credit limit increases had their requests granted. If you’ve held the same credit card for more than six months and haven’t seen your limit go up, it pays to inquire about an increase, provided your credit score hasn’t dropped in the interim. Similarly, if you get a new job with a higher salary, you can use it as an argument in your favor. 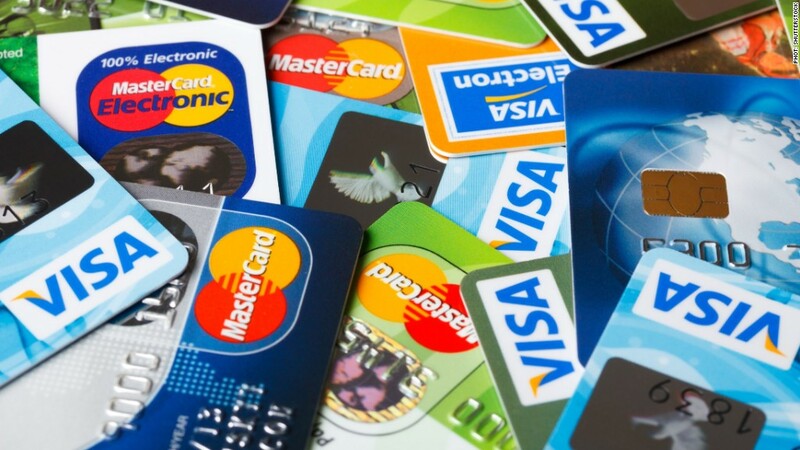 One thing to keep in mind about credit card limits is that having a higher one isn’t necessarily better. A generous credit card limit might serve as temptation to charge more than you can reasonably afford, and when that happens, you lose and your credit card company wins. Remember, credit card companies make money by collecting interest on unpaid balances, so if you max out your card’s limit and spend months paying it off, you’ll end up shelling out more money than necessary for whatever you used your card to buy. Another reason not to max out your credit card limit is that it can actually hurt your credit score. Your score is based on a number of components, including your credit utilization ratio, or the extent to which you use your available credit. A credit utilization ratio that exceeds 30% can raise a red flag, so if you have a credit card with a $ 10,000 limit, you should make a point to never charge more than $ 3,000 during a single billing cycle. If you are going to exceed that 30% threshold, make sure you have adequate cash flow to pay off your balance as soon as your bill comes due. Otherwise, your credit could take a beating. On the other hand, getting a credit card limit increase could help you if you’re applying for, say, a mortgage, and you make certain to keep your spending at its previous level. That’s because a higher credit card limit can send an otherwise shaky credit utilization ratio back down below that 30% target. Imagine you have a $ 10,000 credit card limit with a $ 3,500 balance. If your limit goes up to $ 12,500, you’ll fall just under that 30% mark. Remember, your credit card limit isn’t just an arbitrary number. In many ways, it’s designed to protect you as well as your lender, so if you’re going to ask for an increase, be sure to tread lightly with your new-found freedom.